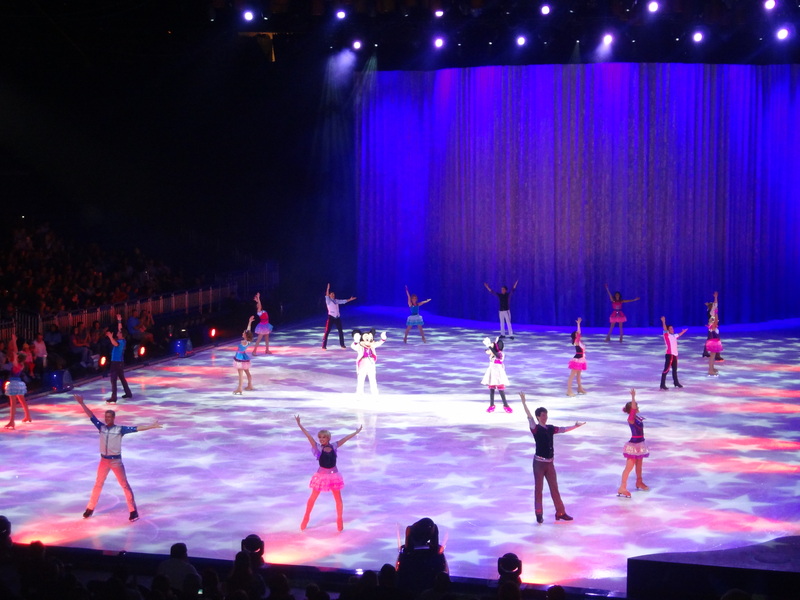 Recently, I was given the chance to take a behind the scenes look at Disney’s newest ice show, Disney on Ice: Rockin’ Ever After. 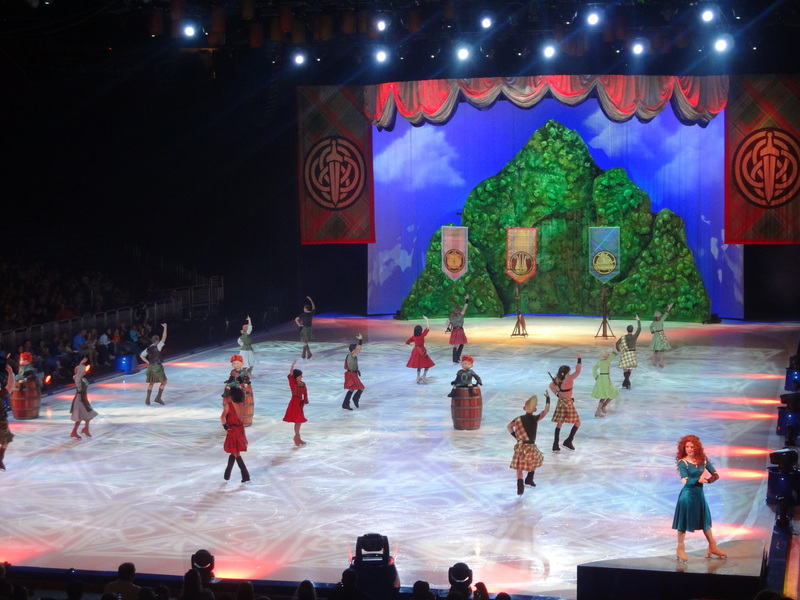 The show features Disney Princesses Ariel, Rapunzel, Merida and Belle. 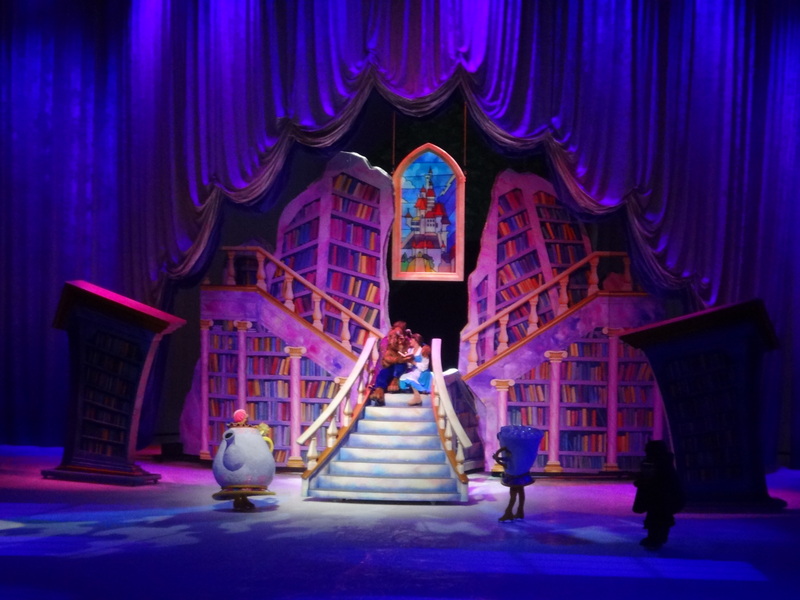 The music was everything I could have hoped and included some of Disney’s Chanel’s most popular hits, as well as classic music from the princesses movies. I learned quit a bit from talking with the cast and crew of the show. I learned that it takes a year to put the show together and the performers only have six-weeks to learn it. All the rehearsals take place in Lakeland, Florida so that Feld Entertainment can be close to Walt Disney World, for costume creation and approval. Since the director stays behind when the show goes on tour, each show has a production assistant that goes along for the ride and makes sure that the show and cast stay on track. The show itself had my son on his feet, dancing to the music. Our hosts were as gracious as two mice could be. Sharing hosting responsibilities with Mickey and Minnie, were Goofy and Donald. My son was really hoping to see Pluto, but he quickly forgot all about the puppy when Mickey started his part on the ice. I was most interested in seeing how the four featured princesses stories would be shortened. In a couple of instances, the story had to change a little, but it worked out. My favorites were Merida and Belle. Both performers really nailed their characters and helped to capture my attention to not only their skating, but physical animation. The final princess to skate her stuff, was Belle. The sets and cast for her scenes, were far more elaborate than all the previous princesses combined. The library scene has always been my favorite part of the movie and this show did it justice. The next day, my son told us that it was a little to girly for him. His favorite part was the opening sequences with Mickey and Minnie mouse skating to up beat Disney Channel tunes, like Hannah Montana. I’ve never been let down by any production that Feld Entertainment has put on, and this show was no exception. The tour is expected to last eight years and tour the globe. Check out their website for a complete tour schedule!